When I finished reading Laline Paull’s The Bees, I felt the next logical step was to go and learn about the behaviour and lifestyle of honeybees. Who knew I would find just what I wanted to know on the Orkin Pest Control website! I found that while Paull’s invented bees were hyper-advanced in their communication abilities, almost all of the basic behaviours and communication techniques found in the pages of this book are based on reality. In terms of lifestyles of workers, queens and drones (males), the basic ideas put forth in this book are also true to nature, save for the kin-determined hierarchy used to set apart each group of bees assigned a certain task. I do not usually find myself drawn to books of fantasy. However, I do enjoy a good dystopia now and then. And this one sure satisfied my hopes. The trueness of the subject matter, but just twisted in such a powerful way made for a very enjoyable read. Flora 717 is born into a female dominated world of hierarchy, mind control and the strictest of rules of behaviour. “Only the queen may breed,” and “accept, obey, serve” are some of the credos of her colony. Somehow she manages to survive and even thrive at points as we follow her life story. The world the author creates in which Flora’s colony exists is magnificent. It is consistent in cause-effect, engaging to the point of anxiety at what will happen next, and entertaining in terms of the way she weaves her words together to create a plot line in which the language feels so right. 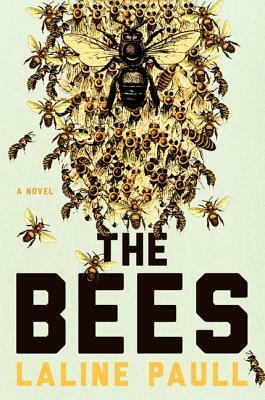 The story told in this novel on the surface is about the lives inside a honeybee colony, but there are several deeper currents of theme and allegory that could be associated. Some critics have said it can be likened to religion in general, though I have to say that the connotations are more of reminiscent of a cult setting. Spawned from that idea comes a matter-of-fact presentation of lives rife with rituals, servitude and restriction of rights and freedoms. At times, there was implied deeper meaning to a thought or action that I was unsure of, but more often the parallel was made very clear to me. This book will disturb you, but will also help you think more deeply about aspects of our society that are so darkly depicted herein. The writing is very well done, and a vivid and twisted setting is achieved. AND as a bonus, you get to learn all about the honeybee. I believe you will enjoy it all immensely. To communicate the location of a food source, a foraging bee dances for fellow workers. The type, direction and length of the dance correspond to the exact spot where the new flowers can be found. Bees emit pheromones which communicate specific ideas to others in the colony, such as danger. Drones have one purpose in life: to mate with a queen. They do not work within the hive. Young worker bees produce a substance to be fed to all bee larvae called royal jelly. This jelly is a super food chalk full of vitamins, medicinal ingredients, and dietary supplements. After the initial stages of life, workers and drones are cut off from the jelly and consume only honey thereafter. Bees who are chosen to be bred as queens continue to eat only royal jelly until they are fully matured. Because of the much more potent health benefits of the jelly compared to honey, these queens in waiting grow much faster than a typical worker bee and do not cease growth until they are approximately double the size of their worker counterparts. Because queens receive such royal nutritional treatment, they are capable of laying over 2,000 eggs per day. This entry was posted in Muse Reviews and tagged allegory, Bees, book recommendations, Book Review, cult, debut, Dystopia, Honeybees, queen, reading, worker, worth the time. Bookmark the permalink.